First off, I have to say Happy Mother’s Day! and auguri! to all the mothers out there! You guys rock! I am writing this post from beautiful Granada, which as some of you may realize, is not in Italy! Jaime and I have spent the past week and a half in Spain and it has been absolutely unforgettable. 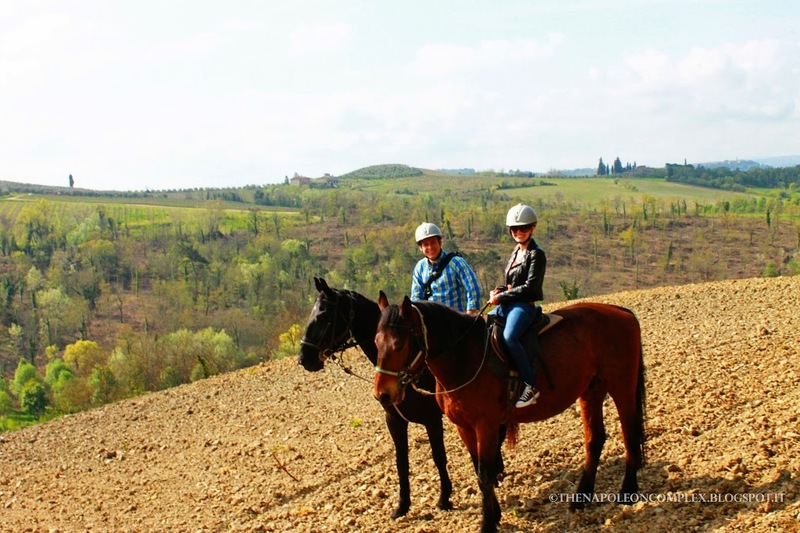 But before I get ahead of myself and start rambling off about all the things we’ve done, I want to talk about our adventure horseback riding in Tuscany! 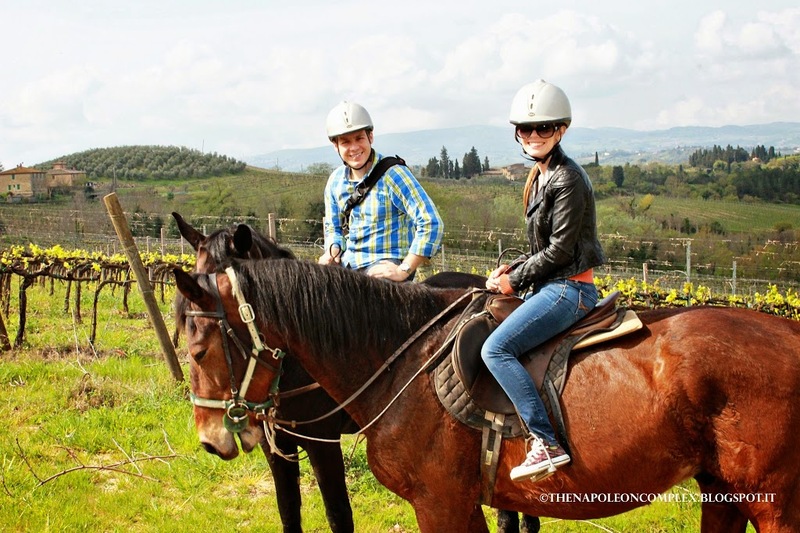 One of the things I had always wanted to do before coming to Italy was horseback riding in Tuscany. It’s a tad bit touristy, but I figure if you’re ever going to go horseback riding, might as well do it with some beautiful scenery in the background! 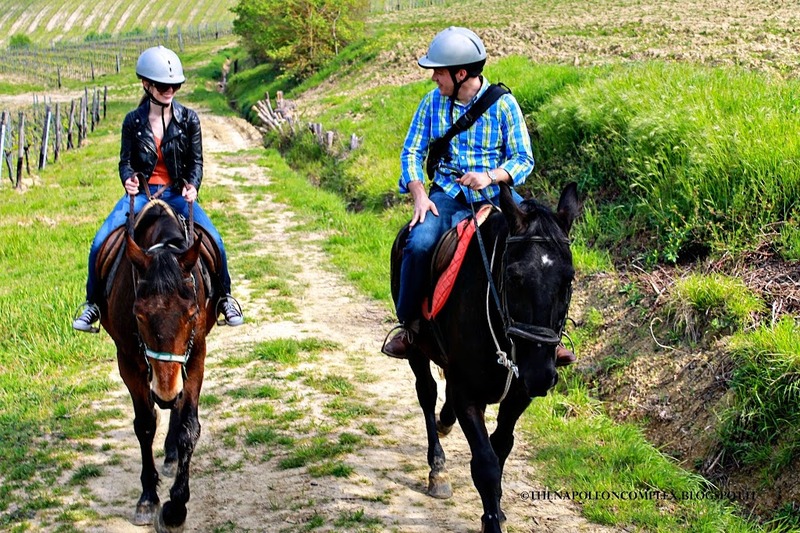 We went on a two-hour tour with Equitania, who offer riding lessons and tours. It was great because it was basically a private tour, just Jaime and I, and the lady leading us was very friendly. She took our camera and was basically our photographer the entire two hours. I have to admit that I was scared at first. I had never been on a horse before, except the basic ponies little kids ride at birthday parties. The morning started off a little cloudy and I thought it an omen. I thought, “maybe this wasn’t such a great idea.” The idea was further solidified when we arrived at the place and the three beautiful, but giant, horses were there waiting for us. When I got on the horse and looked down for the first time at how far the ground seemed, I was terrified. Not to mention that I had to control this huge animal by myself. 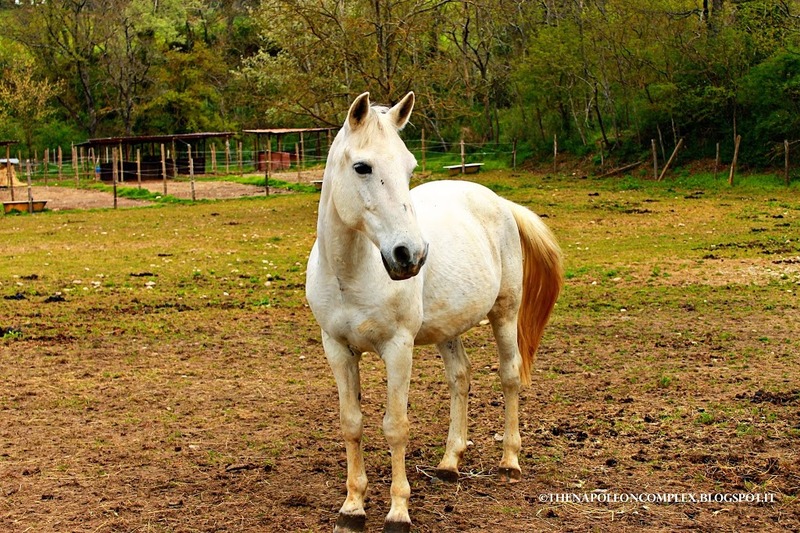 But as soon as we started moving, my fears dissipated, as my horse was extremely gentle. Although I have to admit, he pretty much did whatever he wanted. He would speed up and slow down as he saw fit, but I felt safe the whole time. At the very least, if he didn’t listen to me, he would listen to his owner’s instructions. Jaime was lucky and got a younger horse (probably because he has more experience riding), a black beauty named Darius. In our little line, every time Darius tried to get in front of Yazil (my horse), Yazil would start walking faster to stay at the front. Obviously Yazil and I got along extremely well. Another one of the horses on the farm. So beautiful, it reminds me of a unicorn! We had a great time, the views were spectacular, although I do wish it had been a little further into spring as some of the trees were still bare from winter. Of course, by the end of it, I hurt everywhere, but I’m happy I didn’t chicken out of doing this. Now, I finally get to say I crossed it off my bucket list! 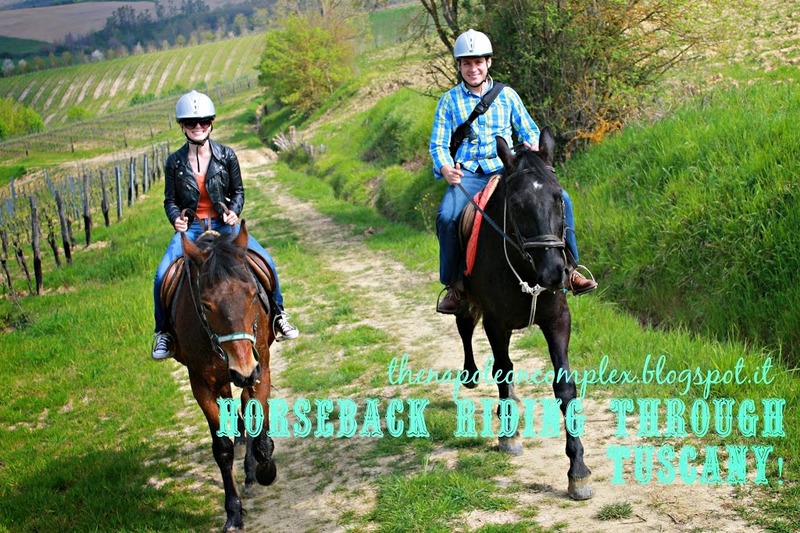 This is my last post on our trip to Tuscany, just in time as I am DYING to start writing about Spain! Stay tuned for my posts this week! Disclaimer: Jaime & I were not compensated in any way by Equitania. All our opinions are our own.